Elaine, this is so sad. I’ve never experienced a miscarriage before and I can only imagine how devastating it must be. As soon as I found out that I was pregnant, I daydreamed about my child all the time. I knew it was a boy before I got my ultrasound. I felt an instant connection to my unborn child. I would have been devastated it I miscarried because I already loved him that much. Hang in there because God will bless you two. Thank you for sharing something that most women don’t feel comfortable talking about. Hopefully others will read your story and open up about their experiences. We often take things for granted. I/WE have so much to be tahnkful for. I’m looking for a miracle and I expect the impossible. I appreciate the platform and prayerfully someone will be blessed and encouraged. Thanks Sis for your honesty as well as your encouragement. We don’t understand why things happen but I’m soo glad WE serve a GOD who sees all and knows all. All things work together for the good of them that love GOD and who are the called according to his purpose. I love GOD and I am called so this includes me and I’m excited about it…. I still don’t understand but I trust HIM! Elaine, thank you for writing about this topic. 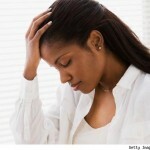 You rarely see women, especially Black women, discussing miscarriage. I myself have recently had a miscarriage and it is unlike any other pain both physically and emotionally. One of the hardest parts is that no one can really understand how you feel. I have had friends who think I “dodged a bullet: even though my boyfriend and I truly wanted our baby. Or family that felt I should simply get over it. I can’t fault any of them because they have no idea how it feels. Most people just think that once you miscarry the pain and hurt you feel will end quickly since it is out of sight and thus out of mind. For me, the pain is deep. It truly is testing my faith. I can’t figure out why God would take something so precious from me. Then at times, I feel broken, like something is wrong with my body. I take everyday one day at a time in hopes to heal. Listening to you share your story so openly helps me to not feel alone. Thank you. This sensitive subject is often deemed as “not that deep” in the African American community. The reason being is because alot of us in the African American Community get pregnant by accident so either we deal with the consequences and have the baby or get an abortion. That is also the reason its rarely discussed in our community. To some a miscarriage is relief. However, for the rest of us it damages our mind and spirit. Although you have not physically felt the baby move or seen the baby, you feel like there has been a death in your family. You go through the five stages of grief denial, anger/resentment, bargaining, depression and acceptance. Truthfully, I can’t tell you where I am at this point. I am still going through the process. My faith has been tested time and time again but this has been the most devastating. However, to GOD BE THE GLORY I’m going through the process. The keyword is THROUGH, I’m not and you shouldn’t allow yourself to be stuck. Kyra, I appreciate you for taking the time to read about the journey I am enduring even as type. We are overcomers and this too shall pass. Delight yourself in the Lord and HE shall give you the desires of yor heart. I Don’t Understand But I Trust Him…. Elaine, you and Kyra bring up good points. 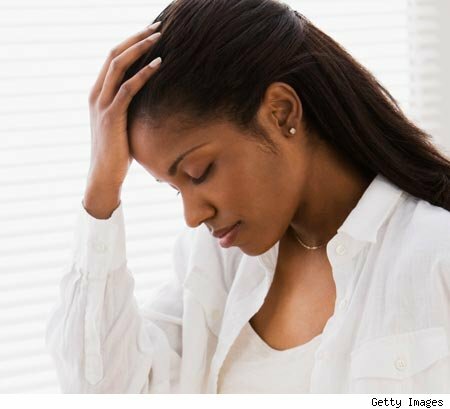 In the African American community, a miscarriage is seen as a relief because of the unplanned pregnancies. I watched an episode of America’s funniest videos and noted how HAPPY and overjoyed the white grandmothers were when they learned of their child’s pregnancy. These women’s reactions made me cry because they were soooooo happy. I wondered why we didn’t get this same reaction in our community. Don’t get me wrong, many black women are delighted about their pregnancies and so are their mothers, but this is not the norm. I’m glad that you two are discussing this subject so openly. It’s a shame that abortion is often the first alternative. I wish we as a whole can make better decisions that won’t force us to make such harsh decisons. I hope other people speak up and out as well. I too had a miscarriage. It happened almost 2 years ago now. I was an unemployed, separated mother of 2, who was about a month pregnant by a very new boyfriend. I had just found out that I was pregnant and had told the few people that I was going to tell right then (including the father), and then days later it happened. I was bleeding, not spotting but bleeding as if it were day 2 of my period. I was having a miscarriage. Some would have thought that given my position (broke, not married to the father and the father wanting me to have an abortion), I would have been happy not to be actually having another child. But that wasn’t the case. I believe that life is always a blessing and I really wanted that child. But God said that it wasn’t to be. I grieved for a time, but realized that God is in control and that He and He alone knows what is best for me. I pray that you find comfort in knowing that God is God. Thanks for sharing your story. I appreciate you for sharing what you experienced. I too believe that life is a blessing. I’m slowly learning in this situation that God knows best. I still don’t understand but I have to trust that it will work togther for our good. What did you do to begin the healing process? Elaine, I just talked to people who were good listeners and who also valued life as much as I do. I didn’t call those folks much who i know felt like I was lucky to have miscarried. I also prayed and talked to God. I just finally ended up saying and feeling like God is the bringer and ender of life and that for whatever reason He saw fit to end that life right then. Although I still don’t know the reasons, I know and trust that God made the right decision. I know women who have had 8 miscarriages. I can’t imgine how they must feel. But I do know it’s all for a purpose, and usually it has to do with us maturing in our faith. We just have to trust God, no matter what He takes us through. All things work together for them that love the Lord. Be blessed, Elaine. Also Elaine, I cried. I cried because my child died. A member of my family died. I know some people and some scientists think that if an unborn child is under so many weeks in pre-birth age that it isn’t worthy of being called a child. I disagree. As soon as I found out I was pregnant, i acknowledged that it was a life, a child inside of me. So to usher in healing, I mourned a loss that carried half my DNA. I acknowledged what was and what might have been. After I cried (several times and over several days), I just told God that I trust Him. I thanked Him for being God and told Him that I no matter what, I still want His will to be done in my life even when I can’t understand and don’t agree. The last time I heard the stats on this, one in four pregnancies ends in miscarriage. So you’re definitely not alone. It’s just not talked about much. But I am sure that you can find a support group in your area or online, if you choose to. I hope that I have helped in some way. My condolences on your loss. Thanks so much for taking the time to share your experiences and how you were able to move through the healing process. I’m thankful to have a great support system. I know that soon and very soon I will be healed mentally and spiritually. From the very beginning I told God that I didn’t understand but I trust him. He’s Alpha and Omega, the beginning and the end. He knew this day would come before the foundations of the world were laid and he knew that we would be able to with stand this trial. Condolences to you & family! Sorry to hear that and we will keep you and his family in prayer. We love Diva!! My Heart goes out to you and your Family. I have loss A lot. Of love ones Really with in the last Ten Years. Sorry you are in my prayers.. So sorry to hear about your lose. I lost my mother 3 years ago today & I’m just now in the grieving process. Grief and loss is a process, the first reaction is shock, then anger then mourning and finally acceptance, I have had many family members pass away, one of the easiest ways I have found to deal with it is to accept that this body that we use to occupy space on this planet is but a shell holding our undying spirit, once I accepted that fact, grief became a bit more bearable. I know I will see those loved ones again one day..may God keep you on this tragic day Shalena..love you. Only God can ease u and your family in time, the pain of loosing a loved 1 never fully goes away, u are in my prayers. Shalena, my deepest sympathy goes out to you and your family. I lost a nephew a few years back and the hardest part for me was watching my oldest brother grieve. The thought of losing a child is unthinkable. Remember that you have family, friends and shoulders to lean on when you cry. After my mother passed 4 years ago my saving grace was in knowing that she is free(pain,stress,illness,etc) and that God has another Angel under His wings. I tell myself that every time I think of her a little bell rings next to her in Heaven to let her know she is missed, she hears that bell everyday. I am praying for peace if mind and that this bad memory be replaced with good memories of your nephew! I remember when I had my miscarriage and had to still go through labor only to leave the hospital without my daughter I said why me? My Aunt said just like Job “why not you” why me ultimately wishes my pain happened to someone else. I have never said this again. Shalena, I can’t even answer as I am still grieving the sudden loss of my mother, grandmother and close friend (it’s only been 6 months) They all died within weeks of each other and totally unexpected. I guess this is truly proof of GoD is the strength of my life and I know GoD will strengthen you as well. There are no words that will really embrace what you’re feeling and I can only say that in your nephews honor and respect to his memory, you make every effort to press on and do the good that you are doing. You have my deepest condolences. I lost my brother New Years eve of 2010 and I am still trying to cope with the fact that he is gone but knowing he is out of pain helps to ease the grieving process.When my dad passed in 1982 that was the hardest time period for years i dealt with my grief in a way that was out of my character . I think if it is to overwhelming then you should go and talk with a professional therapist. God was my first choice. Sorry for your loss, it hard to lose somebody close to you I lose a lot of family and friends, but the close one to me was watch my husband dying and you cant stop it and he taken his last breath this last eleven month been very hard, family and friend will turn they on you, so what I did stay to myself with no phone,tv,and tune people out and let god be my road I read the bible, pray listen to music and talk to god and believe me it work I have a total out look on life now just give it to god he bring you through anything. Sorry for your loss the pain of losing a loved one never truly goes away i lost my 23 year old son Jan1999 just put yourself in the loving arms of christ and the healing will come keeping you in my prayers. Sorry for the loss. Death is something one cannot handle especially when uv lost someone dear to u. But find comfort in the word of God that death of his or her loved ones pleases God. Remember also that we shall all die and meet our loved ones. God will see u thru as u keep on praying for those who die in the Lord they jst sleep and rest. Sorry for what You and your family is having to face right now! Only God has all the answers, go to him Shalena. I did when my stepfather past- Was the last time I lost anyone dear to me! He was my source for comfort and understanding – he showed me things, that opened my eyes and understanding. God bless!